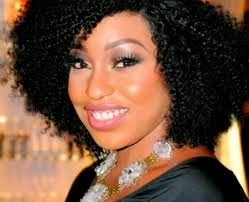 Nigerian Biography: Rita Dominic; Actress; Imo State Celebrity. Rita Dominic; Actress; Imo State Celebrity. of Aboh in Mbaise Local Government Area of Imo State. Rita Dominic’s parents while they were alive were of the medical line. Her dad was a medical doctor while her mum was a nurse. Rita Dominic had her early education at Federal Government College, Ikot Epene in Awka Ibom State afterwhich she proceeded to the University of Portharcourt where she bagged a BA degree in Theatre Arts in 1999. Rita Dominic is an outstanding Nigerian actress who has featured in over 100 Nollywood movies. She also has a good number of awards up her sleeve. Rita’s acting career started as far back as when she was a little child and her talent for acting has grown over the years.